KEEP HYDRATED at all times while playing golf in Thailand. If you are intending to golf in Ko Samui, drinking water is one of the most important ways to maintain your performance on the golf course. The hot, humid climate demands that water is drunk frequently even if you feel you do not need it. As more than 70% of our body and 75% of our brain is water, failure to hydrate the body adequately will result in bodily functions beginning to shut down. Lapsed concentration, headaches and playing badly are all symptoms of dehydration. A leading elite athlete sports doctor advised that a 3% drop in hydration causes a 10% loss in strength. 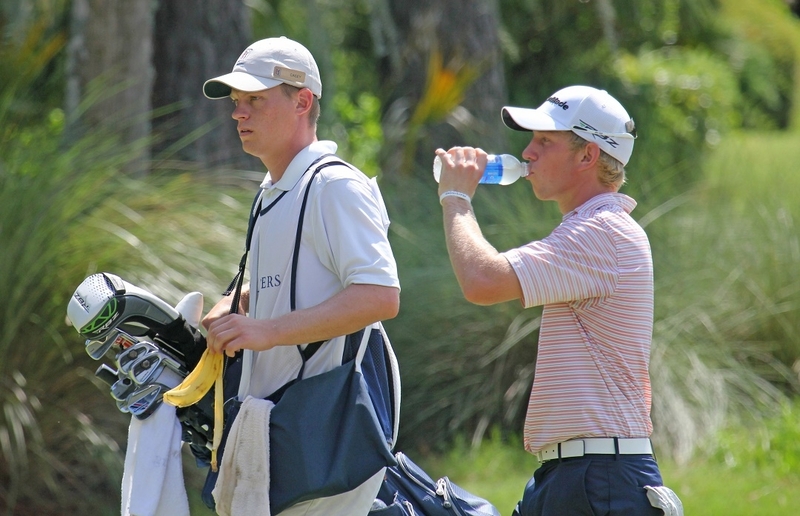 The ability to maintain a properly hydrated body during a golf game in the tropics can lead to a 25% improvement in physical and mental performance over a player of similar ability who is not hydrated properly. Isotonic sports drinks are also a good means of getting the body rehydrated but there is no substitute for plain good old fashioned water. Thailand is hot so make sure you have at least two hats, three gloves as your hands get very sweaty, a good sized towel and a change of shirt for mid round is always very handy. Buy water or an alternative and keep at least one litre in your bag at all times. Top up with fluid at regular intervals during your round even if you are not thirsty. Apply ample sunscreen to all exposed parts of your body as the sun is very strong even when it overcast. Your caddy can help you with all the hard to get at areas. Taking an umbrella with you will protect you from the Suns rays during your round.